Editor’s note: MFA is pleased to share today’s article from guest blogger Daniel Levis. When Todd asked me to school you on email subject lines, I figured, “This’ll be interesting..”. Heck, you’re likely to boo me right off the virtual stage. …They force you to actually say something in your subject line… thus making what you’ve written in the email more likely to be read and responded to. When I see subject lines like this, I think, why not just use “I’m Desperate”. That ought to get the email opened. And you bet… this kind of “say nothing” subject line can give you a nice spike in open rates. Heck, sending an email with NO SUBJECT LINE will increase your open rate. “Test” works wonders, too. That’s why so many email marketing “geniuses” put weird, meaningless and nonsensical things in the subject line. Me… I like money, so I don’t bother much with baloney subject lines. Actually, if you really are desperate (to move some product, thus offering a seemingly ridiculous discount), “I’m Desperate” makes a pretty good subject line. And that’s the point of a good subject line. Get 12 PROVEN MARKETING FUNNEL MAPS sent directly to your doorstep – FREE! It’s not just about saying something so blind and unusual it gets the person to open the email. Because all opens are NOT created equal. It’s about setting a compelling expectation in the reader’s mind and then delivering on that expectation in the email. And yes, “I’m Desperate” qualifies as a compelling expectation. Because who doesn’t love a good train wreck? Which brings me to the dark art of the 7 forbidden email subject line hacks. Because I want you to create “strong” opens that help you to advance the sale. Instead of “weak” trick opens that don’t propel your reader past the first line of body copy. Actually, the train wreck method can be used regularly if you add a little meat to it. This one is among my all time producers. Celebrity misfortune (in this case, supposed experts sucking and living in fear) makes irresistible bait. You can’t look at this subject line without needing to know the answer to the riddle. And the story inside the email then allows you to separate yourself from the “guru” competition and eliminate them as an option. In journalism, there’s an old saying, “If it bleeds it leads”. This email is about preeminent positioning in business, and becoming a category of 1 in your field, niche or industry. When you have that, you can mess up a lot (get away with murder)… and still come out smelling like a rose. The subject line could have read: How to Become The One and Only Alternative in Your Market. Easy to skip. But death by foul play? Who can resist? The revelation of acts, behaviors and situations that one would prefer remained private. Stupidity, poverty, nakedness, picking your nose on camera, etc. These are great fun to watch as long as it’s not you. This email uses a before-and-after story. Most marketers would refer to the AFTER story in the subject line, because it reveals a benefit. Now you know better. Break the expected pattern. Lead with the BEFORE story and leverage the attention-absorbing power of embarrassment. Anything that doesn’t immediately compute is an automatic attention-arrester to put in a subject line. This is simply a matter of relating a current news story to what you’re selling in the email. You twist it metaphorically to suit your purposes. Have you begun coddling them… cherishing them… massaging them to make them your own… where they can begin to enrich you? Yes, your prospect wants the benefit. But they see claims made every time they look in their in-box. Irony lets you stand out from the noise. Why on Earth would this student be pissed off about making $5,000 in one week? They just have to open the email to find out. The release of a terrible private burden always results in intense curiosity on the part of an observer. Impossible to not open up if the reader is in the target market. Just substitute “binge eating” with the problem you solve. Then in the body of the email you can tell an empathetic story and reveal or link to your solution. The news is full of wrong-doing, which is a delicious distraction from the ho-hum of everyday life. It gives people a shared indignation and license to judge, allowing your reader to feel morally superior to the person caught with their pants down. I just tied it in to what I was selling in the body of the email by saying: But I don’t care who it is or what the situation (though I’m NOT in favor of drugs, terrorism, or deceit), there are incredibly useful marketing lessons everywhere you turn. Substitute “marketing” for what you’re selling. 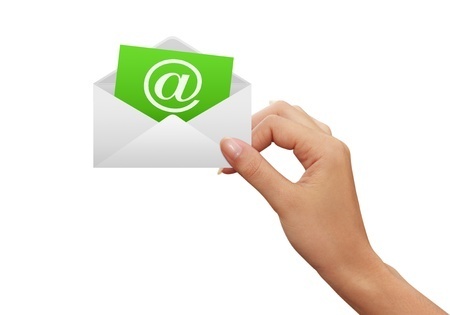 Of course, there are many more ways to add punch and pulling power to your subject lines. But I’m running out of space and want to stop at an odd number. Though here’s another big tip… off the record. You should notice that all of the above subject lines have a sort of a sing-song quality to them. Naturally this helps captivate the reader’s mind and gets them to open the email. A hint of rhyme, rhythm and alliteration. Here’s a bonus to bring it to your full attention. 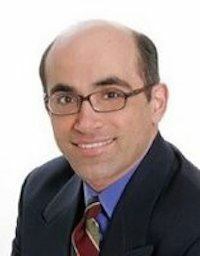 ABOUT THE AUTHOR: Daniel Levis is a world-leading marketing consultant and copywriter, specializing in high-converting email follow up campaigns for sales funnel optimization and list profit maximization. For more schooling on email subject lines, download his free SUBJECT LINE MADNESS for Email Marketing Mastery Swipe File – 437 Proven Subject Lines to Plunder, Pillage and Profit!